The British Government’s decision to leave Palestine confronted both the residents and the oil companies with a new reality. The leaders in London, too, had to formulate a new policy on the supply and refining of oil in the light of the anticipated changes in Palestine. 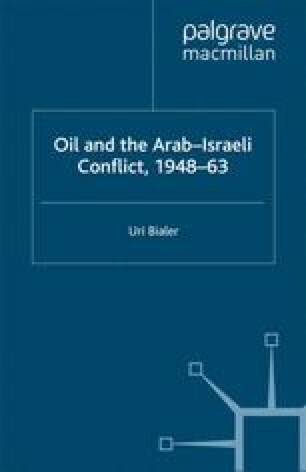 This chapter will analyse the interactions among these different actors during this period, and how they began to adapt to the emerging political reality from early 1946 up to the war that broke out immediately upon the official termination of the Mandate in mid-May 1948.